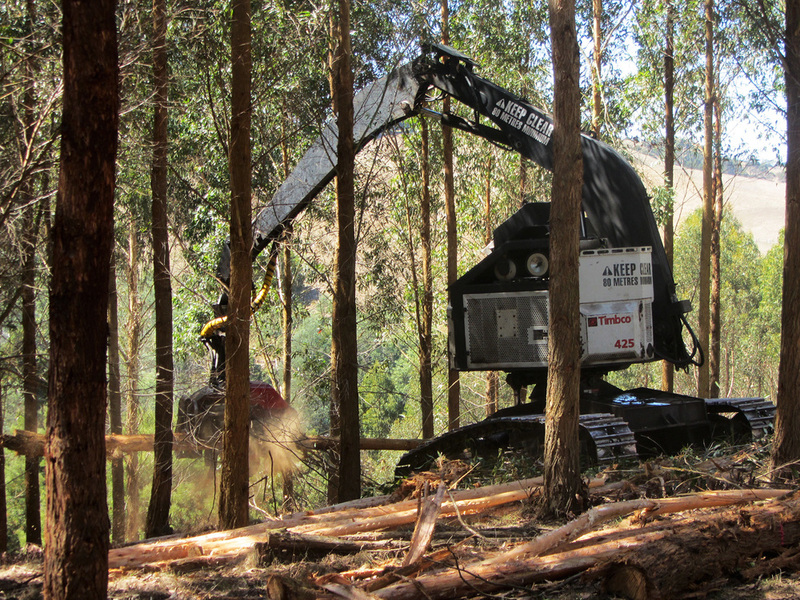 Heartwood Plantations provides one of Victoria’s largest private harvest and timber sales services. With timber harvest and sales exceeding 60,000 tonnes per year, Heartwood Plantations has sufficient resources to ensure customers have access to the best markets and are provided with the highest returns. In recent years we have developed strong domestic and export markets for both hardwood and softwood logs and chips. Our comprehensive service handles all environmental, regulatory, safety and timber marketing activities, including designing and constructing suitable access roads to extract timber in a safe and efficient manner. We can also provide information on options post harvest for reversion to agriculture, re-establishment or land sale.